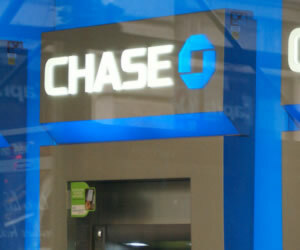 Whether it’s good PR or if Chase Bank has finally tapped into the everyday problems consumers face, it made a surprising announcement that it would no longer be assessing $34 overdraft fees for transactions that total less than $5. As it stands now, customers enrolled in JPMorgan’s overdraft protection who have already overdrawn their account and then make additional purchases are assessed the $34 fee per purchase, no matter how small the transaction. This fee can be assessed up to three times day, meaning consumers could be paying $108 per day. Now though, with its announcement, there will no longer be any overdraft charges for charges on debit cards that are less than $5. And it doesn’t matter how many there are on a daily basis. This goes into effect July 22. The announcement was made in the statements of JPMorgan customers. If you’re thinking this was some kind act made by Jamie Dimon and the group over at Chase, think again. It’s part of a $110 million class action lawsuit settlement the bank agreed to earlier in 2012 so that it could resolve claims that it was charging excessive overdraft fees to consumers, according to court documents. The lawsuit has been in the Florida federal courts for three plus-years and alleged the bank was guilty of processing transactions from the highest dollar amount to the lowest instead of processing them chronologically, causing accounts to be overdrawn much faster and leaving more unpaid smaller transactions, which, of course, meant more overdraft fees the bank could charge. This lawsuit was actually not filed against JPMorgan Chase solely. In fact, it was part of a much bigger class action suit that ended up involving more than thirty banks around the nation. While JPMorgan’s announcement is in the headlines, it’s because of the troubles the bank and its CEO has faced in recent months. There have been several huge settlements, including Bank of America, which agreed to pay out a total of $410 million back to bank customers in late 2011. The bank’s not made any official comment, aside from the notice in the customers’ bank statements, but it did say it’s made several changes to banking policies, the disclosures and fees associate with bank accounts and credit card accounts. The goal, it says, is to make it “easier to bank with Chase”. Some may recall Chase made a big change in its overdraft policy in 2010. Some thought that would include these most recent changes, but instead, it eliminated overdraft fees if an account is overdrawn by less than $5 at the close of a business day. This policy as one other banks had long since had in place. Now, it appears other banks are on tap to follow suit or make some other type of change. Some banks simply refuse to allow smaller transactions to be approved if there aren’t funds to cover them. This allows the banks to be forced into allowing the transactions to go through with no compensation if there aren’t available funds, something consumers feel is a bad deal. There are only a few banks who have never charged overdraft fees for smaller transactions under $10. SunTrust is one of those banks and says it was simply a decision that would inspire customer loyalty and prevent further hardships. Still, other banks support Wells Fargo and Citi, both of which don’t allow those smaller transactions to go through if there aren’t available funds. “If you don’t have enough money in your account to cover your purchase or withdrawal, the bank should deny it,” said one bank analyst. Even with Chase’s new policy, consumers who opt in to debit card overdraft protection will pay $34 to borrow $5.01. Pew Safe Checking in the Electronic Age Project, which routinely examines bank policies on the nation’s biggest, says there’s much to be done and this small “win” by consumers against Chase is really the tip of the iceberg. One study it conducted recently shows banks are still hitting their customers with entirely too many fees, even though they’ve been forced to provide those customers an option of enrolling in overdraft protection. They say the cost to use these services aren’t always disclosed. In fact, there’s a growing number of banks who are charging other fees, on top of the NSF fees, if an account is overdrawn for a certain period of time. Those fees average $35. Make no mistake – the banks are making billions on these fees. Also, the Consumer Financial Protection Bureau, already a thorn in banks’ sides, is seeking public comment on how these policies work, as well as potential solutions that would make checking accounts more viable to more consumers. It’s gone a step further, too. It’s opened its own investigation into various banking overdraft programs to get a closer look on just how dramatic the fee structures are on American consumers. It’s requested certain information from banks and customers and is looking into how various dynamics are processed within the banks.